Safety is a constant concern for parents, and UTPD wants to help in any way we can to keep the children of our community safe. We encourage you to read the below tips on child safety. 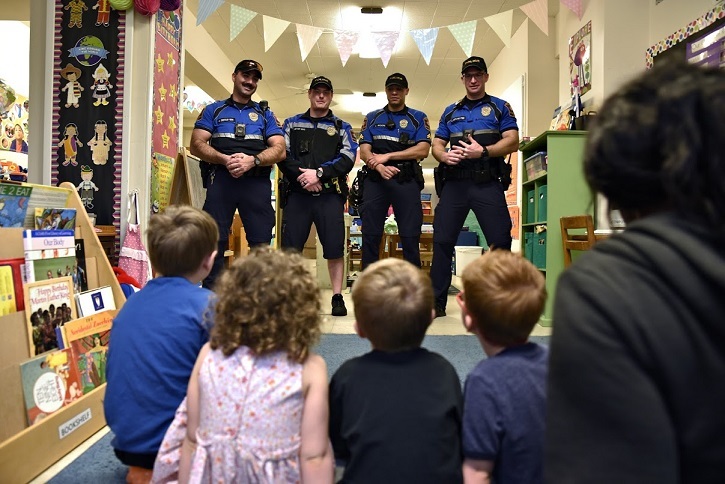 Check the UTPD home page regularly to see if there are any upcoming safety events you can bring your children to, such as fingerprinting workshops or National Night Out. Check out McGruff.org (this website is FLASH based, Chrome browser will not display it) for fun ideas on teaching children about safety. Make sure your sitter is adequately trained and has a good sense of responsibility and maturity. One way to do this is to ask for references and check them. Make suitable arrangements for the sitter’s transportation home — do this at the time of hiring. Leave a number and address of where you can be reached in the event of an emergency. If your plans change, be sure to contact the sitter. Have a list of phone numbers of people to contact in case of emergency — include a close neighbor or relative on the list. Provide the sitter with a working flashlight in case of power failure. Acquaint the sitter with any pre-established emergency procedures, such as fire escape locations, alarm systems, and escape routes. Familiarize the sitter with your home (locking doors, fuse boxes, windows, etc.). Call and check on the sitter if possible. Teach your children what a stranger is, which isn’t necessarily defined by what a person looks like or the clothes they wear…If children do not personally know someone or have not been introduced to someone by their parents, they should consider that person a stranger. Establish a code word between you and your child. If a stranger asks the child to come with them, all the child has to do is ask for the “code word.” If the person does not know the code word, the child does not go with the stranger. Teach your children to trust their feelings and run away if they are ever unsure about someone's intentions. Immediately check on your children if there is any delay in their arrival home. Know your children’s playmates and where they hang out. Teach your children to let you know if they see suspicious people or if unknown adults attempt to approach them or become friendly with them. Instruct your children not to accept rides or gifts from anyone without your approval.